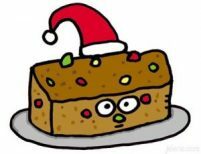 recipe Archives | Dalko Resources Inc.
December 27th is Fruitcake Day, a day made to celebrate the famous holiday cake with an incredible shelf life. Fruitcakes can remain on shelves for many years and still be edible. In honor of today being Fruitcake Day, below are some recipes that use this brick of a cake.